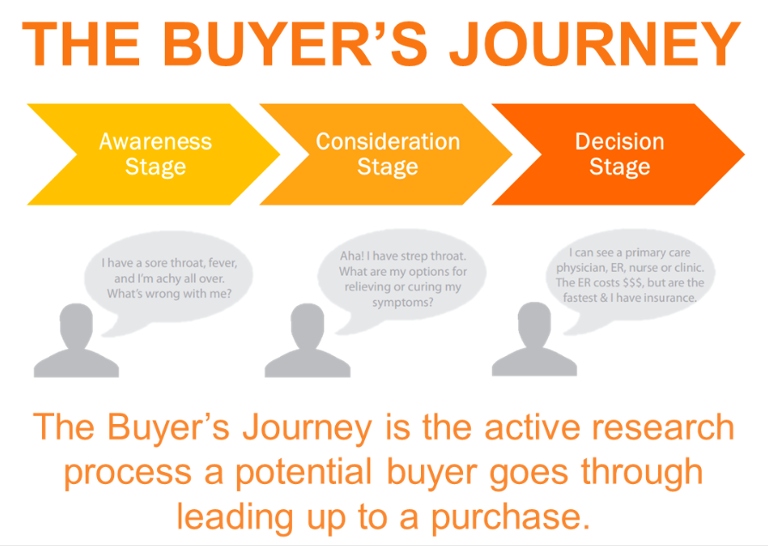 You know about the three stages of the buyer’s journey, right? 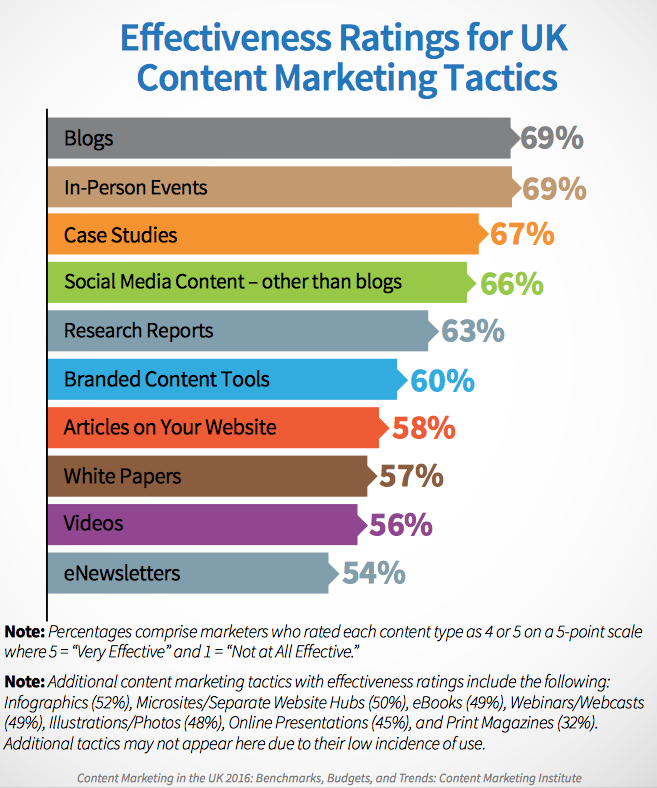 It’s important to understand these stages because they each require different efforts from content marketers. According to ReTargeter, only 2% of site traffic converts on the first visit – meaning, indeed, that the other 98% leave your website again without buying anything. Now, that traffic may have ended up at your site for any number of reasons, but let’s assume a decent proportion of it came via means of content marketing that addresses the Awareness Stage. The Awareness Stage is when a new prospect identifies the fact that he/she has a problem (i.e. becomes aware), and heads online to conduct research into a solution for that problem. Content marketers are all over the Awareness Stage – we write blogs, build social media presences, concentrate on SEO, make a few videos and infographics, and basically do everything we can to put our businesses’ names out there and help online searchers discover our solutions. Great! That’s a big part of what we’re employed to do. However, where marketers sometimes let themselves down is in addressing the second stage of the buyer’s journey – the Consideration Stage. The Consideration Stage is when the prospect has conducted research into his/her problem and has discovered that there are a number of solutions being offered by a number of different companies – only one of them, of course, being yours. During the Consideration Stage, the prospect will be evaluating what you have on offer, and pitting your business against any number of rivals. They will be hunting around your website looking for as much information as possible about what you do, who you are, what you offer, and indeed what others are saying about you. As the ReTargeter research notes, 98% of these first-time visitors will click away again without buying anything – that’s pretty much inevitable. It’s the job of the content marketer, however, to give them a few decent reasons to come back and put your business on the short list for considerations. Case studies are essentially tools found in the B2B marketer’s tool chest – and they have become an increasingly used one at that. The Content Marketing Institute’s annual B2B Content Marketing report found that 82% of B2B organisations used them last year, and that 67% of those that did found them to be effective. The reason for the popularity and indeed the high effectiveness is simple – well-written case studies clearly define the benefits of your product or service to your target customer. They do so by using a real-world example of your solution in action, and thusly provide the social proof that prospects in the Consideration Stage need if they are to take the decision to become a paying customer. So – what does a good case study include, and how do you go about writing one? We can infer from the Content Marketing Institute’s findings that if just over two-thirds (67%) of B2B organisations find case studies to be effective, then just under one-third (33%) must find them ineffective. So, case studies can fail – but there’s reason for this. A good case study is not about shamelessly promoting your product or service’s best features, but about the customer. It’s about highlighting first the problem that the customer faced, then introducing the solution you used to address that problem, and finally showing the (positive) results. Importantly, each of these stages should have just enough detail devoted to them, so that readers are neither bored or put-off at the prospect of reading through a case study that’s too long, nor left feeling perplexed as to how your solution actually solved the problem by being too short. Indeed, it’s not good enough to say something like “the customer had a problem, adopted our solution, and then the problem went away.” That’s just a little too brief, and one reason why case studies sometimes fail. Other reasons why case studies sometimes fail include: choosing a customer who is not representative of your target audience; poor provision of backup information (either in the document itself, or upon the requests of prospects); or simply because the case study ended up turning into too much of a sales pitch. So, adopt the mind-frame of avoiding these pitfalls before you start, and then move on to writing an effective case study. You want to choose a customer who most accurately represents your target audience. This way, your case study will be relevant to larger swathes of your prospects. However, this is not the only criterion. You also want to pick a candidate that, ideally, has a recognisable brand name, as their brand will lend credibility to your own. And of course, you also want to choose a customer that has enjoyed some really decent results by working with you. Indeed, if they have had a certain level of unexpected success, then this will add a new and exciting element to the story that you are telling. When conducting interviews, be sure that you’re well prepared, and that your questionnaire is designed to get the answers that you want. What were the challenges your company was facing before you discovered our solution? What made our solution stand out above and beyond our competitors? What were your goals at the outset? What results did we achieve for you? How has your business benefitted from our solution? Can we have some hard data to show our prospects? 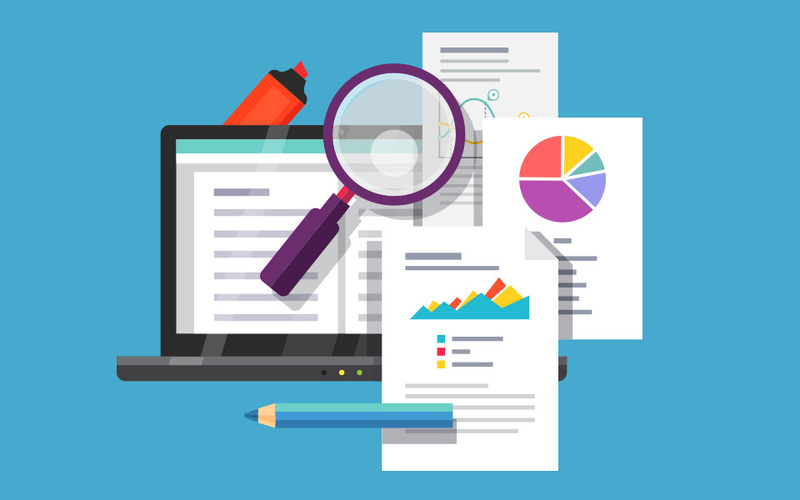 With this information, you will be nicely lined-up for crafting a killer case study that will convince prospects that it’s well-worth doing business with you. Today, case studies need to be designed with the same care and meticulousness that you would employ when crafting any white paper or eBook. They need to look good, read easy, and generally be as visually compelling as possible. Of course, there is no one-size-fits-all when it comes to case studies (as there rarely is with anything (as the holes in my socks attest to)). But, generally, you don’t want your case study to be too long, too short, nor too text-heavy. Keep things visual. Title page (and use your title to highlight the number one accomplishment of the case in question). Executive summary – just one or two short paragraphs is all you need, but encompass the whole story. Introduction to the company being studied. Highlight the challenges they faced prior to using your solution. Highlight how your solution specifically overcame those challenges. Provide evidence in the form of visualised data. Supply quotes from your interviews. That’s all you need for a good case study. Keep it sharp and focussed, and this will be one of the most powerful tools in your Consideration Stage content marketing arsenal. Now all you need to do is make sure the download is prominent on your website so that your prospects don’t miss it, and indeed, it of course makes sense to build a promotional strategy for amplifying the case study across email and social media. Now it’s back to you. Need help building a case study strategy for your business? No worries. Get in touch with us here at My Social Agency – we’ve got the content marketing solutions for all of your business needs.